It might not be something that you spend too much time thinking about, but the clothing and shoes that you wear while exercising can have a pretty significant effect on how successful your workout is. Everything from what you wear on your head to your feet (and everywhere in between) plays a part in how comfortable you are at the gym, on the trails, or wherever your workout happens to be that day. 1. Choose clothing that is suited for the activity that you’re doing. Wearing clothing that’s fun yet practical (and that you feel good in!) can make a huge difference in your attitude! If you’re feeling uncomfortable in what you’re wearing or constantly tugging and pulling on your clothing, you’ll be far less likely to enjoy your workout. Consider which type of top and bottom you’ll be most comfortable in. If you are blessed to have thighs that don’t rub together, running shorts might be what you prefer. If you’re not so lucky (and experience that ever-so-fun chafing effect), consider tight fitting long shorts or capri pants that provide a bit of compression and support. Make sure that your pants are not loose-fitting as they can get caught in the pedals. Wear clothing that’s comfortable and is not too tight or constrictive on the body in any way. Consider the muscle groups that you’ll be training. I like to wear shorts when I work out my legs and tops that show off my shoulders or back when working those muscle groups. Being able to see the part of your body that you’re training might give you a bit more motivation (and help show off the results!). If you tend to sweat a lot during a workout, you’ve probably noticed that as your shirt gets soaked it starts to feel heavier and just, well… gross. Certain types of fabric (like an old cotton T-shirt) tend to hold on to moisture better than others and actually cling to the body when it starts to sweat. Moisture-wicking fabrics, available in tops, bottoms, socks and even sports bras, actually pull moisture away from the body to the top layer of the fabric, leaving you feeling drier and lighter. When it comes to exercise one shoe does not fit all, and you definitely need the right pair for your activity. I don’t know how many times I’ve been out on a hiking trail and seen another hiker walk by wearing flip-flops or sandals – and it boggles my mind! If you’re engaging in an activity where you will be relying on your shoes to grip on to a surface, flip-flops, regular sneakers or casual shoes are not going to cut it. It’s worth investing in a pair of hiking shoes or boots so that you don’t end up slipping and injuring yourself. If you’re an avid runner, you’ll know that having good, supportive running shoes is one of the most important details. Instead of just buying whatever “running” shoes are on sale, take the time to go to a running specialty store and speak with a sales representative. They will measure and analyze your feet (which can include watching you walk or run on a treadmill) to figure out if you pronate or supinate in your movement. 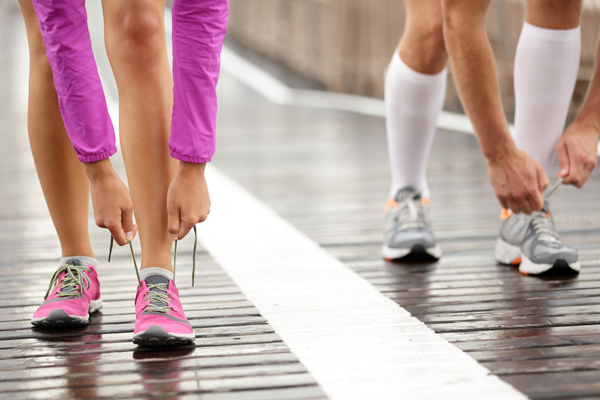 Wearing the wrong pair of shoes can cause shin splints, knee injuries and far more serious problems. Also- it’s a good idea to wear your running shoes only while running – get a pair of cross-training shoes for general workouts. Footwear might not be something that you’ve paid a lot of attention to, but it’s pretty significant! The best option is to purchase cycling shoes with clips that screw in and “clip in” to the pedals (also known as riding clipless). Riding clipless gives you much better control and stability and allows you to shift power by maximizing the upstroke when pedaling (allowing you to “pull up” and incorporate your hamstrings). Overall you’re going to be much more efficient. If you’re not able or don’t want to purchase cycling shoes, choose your shoes that have the least flexible surface and don’t bend easily (like hiking shoes). This will provide more stability than your typical sneaker. Now that you know what to wear, the next step is to actually put it on! 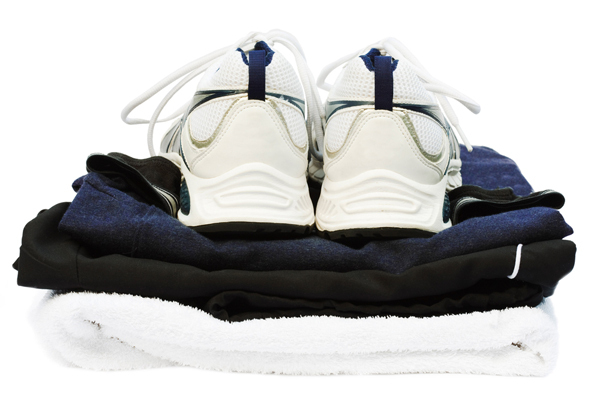 If you plan to work out first thing in the morning, have everything laid out on your dresser (including socks and shoes) so that it’s ready to go right when you wake up. 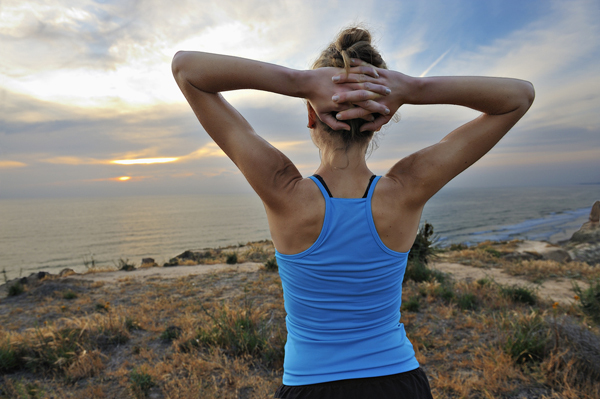 If you exercise right after work, consider bringing your gym clothes with you and change into them before you leave. If you plan to head straight to the gym after work, you’ll be a lot more likely to actually go if you leave the office already wearing your gym clothes. Otherwise, it can be too tempting to head straight home and blow off your workout. If you’re dressed and ready to go, you’ll have no reason not to head straight to the gym! Lauren Martin is a NESTA certified personal trainer, Bodypump and spinning instructor. She holds a bachelor's degree in graphic design and a master's in art education and is the author of the blog Me and the Mountains. Lauren resides in Broomfield, Colorado with her husband and two Golden Retrievers.